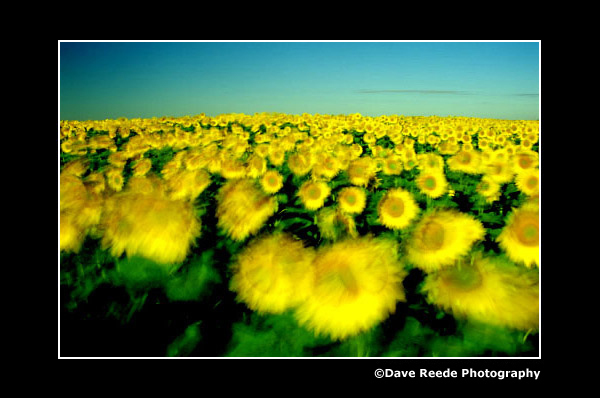 Strong winds create movement in sunflowers. 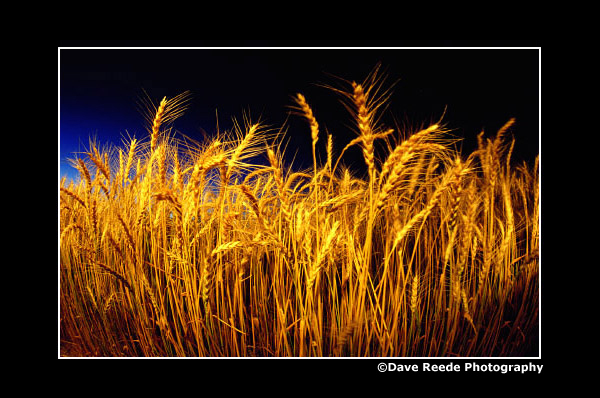 A field of durum wheat near Ponteix, Saskatchewan is lit by several flashlights. 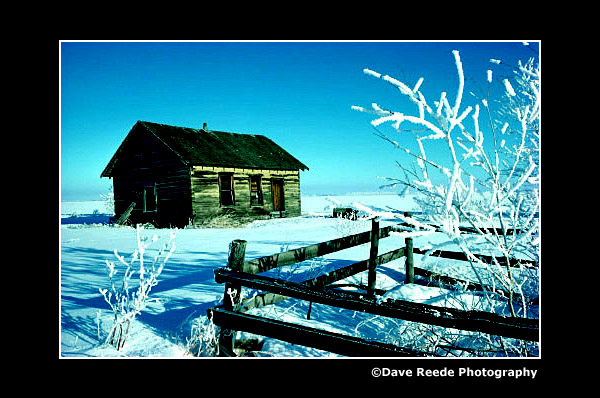 Branches coated with hoarfrost frame an old pioneer home near Rycroft, Alberta. 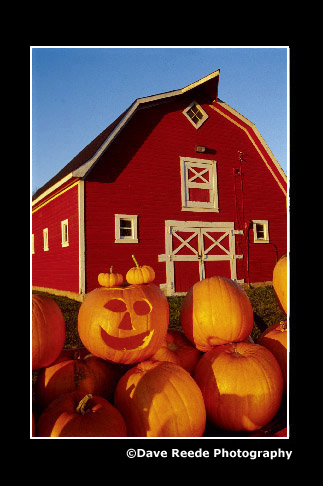 Jack-o'-lantern on top of pumpkins, near Oakbank, Manitoba. One autumn I bought a truck load of pumpkins. I drove them around to various locations and produced some nice photographs using them as props. Eventually the pumpkins got bruised and Halloween finally led to their demise. 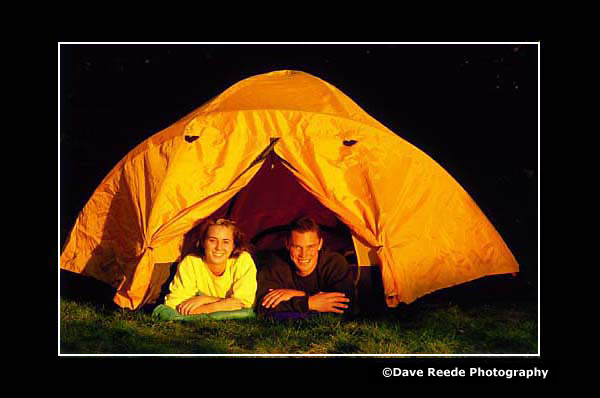 Camping set up at Birds Hill Provincial Park. The warm late day lighting adds an interesting quality to the photo. 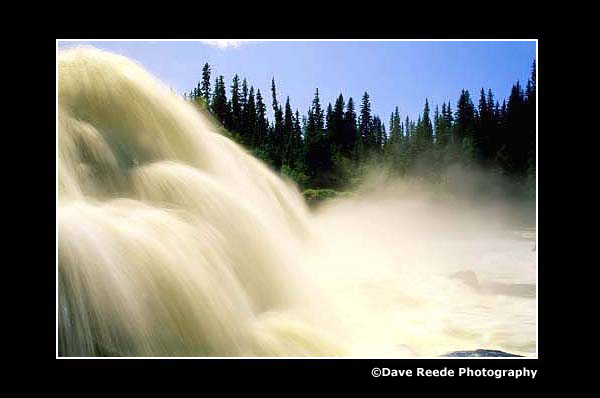 Close up of water at Pisew Falls, Manitoba. I always enjoy trips to Pisew Falls. It's a beautiful area where I consistently get some great photos. 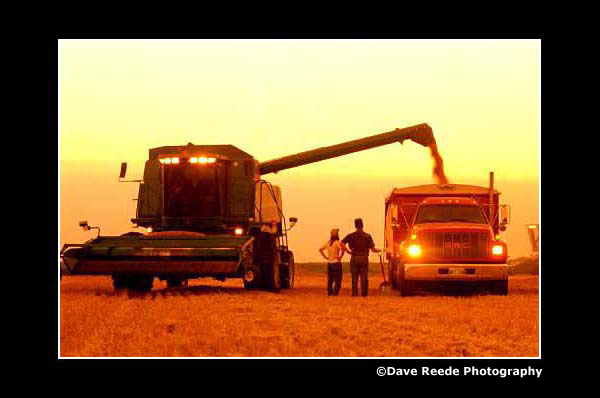 Grain harvest at a farm near Dugald, Manitoba. 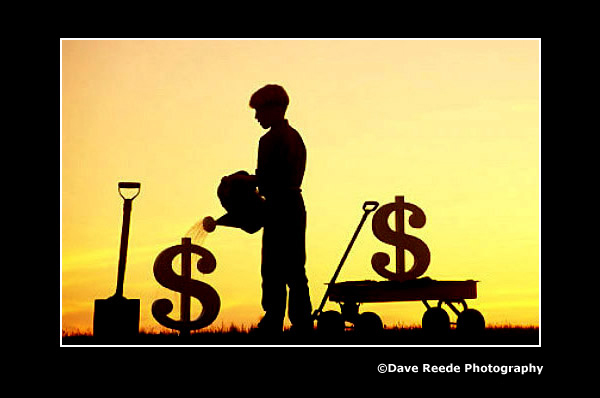 A boy watering dollar sign. This is one of a series of photos dealing with monetary themes. I had a number of styrofoam dollar signs of various sizes made for the series of photos. 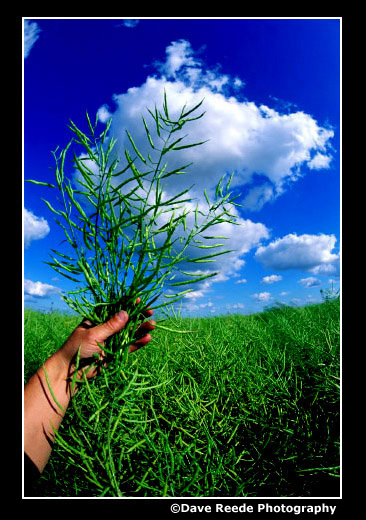 Hand holding canola.Using a wide angle lens I was able to add my hand holding canola with the crop and a nice sky in the background. 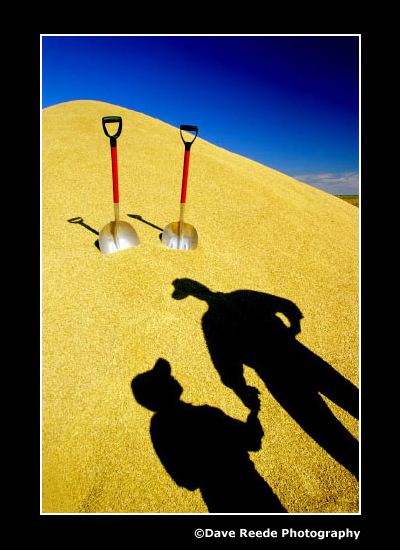 A farmer and his son are sillouetted in a pile of grain being stored outside. 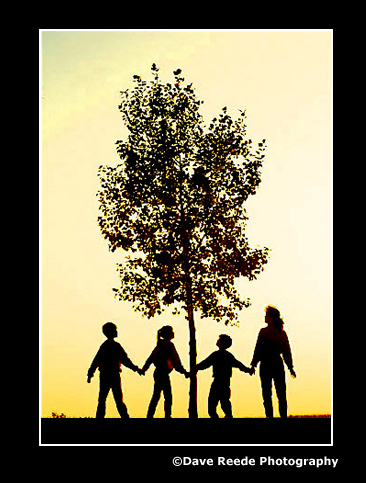 The most difficult thing about organizing this photograph was finding a tree on a hill with no branches at the bottom. The rest was easy.